Beverly Nelson is young and smart, with a vision for how things should be at Stewart House, the Western eatery where she works as a waiter-girl. Her sister Carrie is sweet and obedient, but Beverly speaks her mind, which seems to be a bit of a threat for their supervisor, Rita. 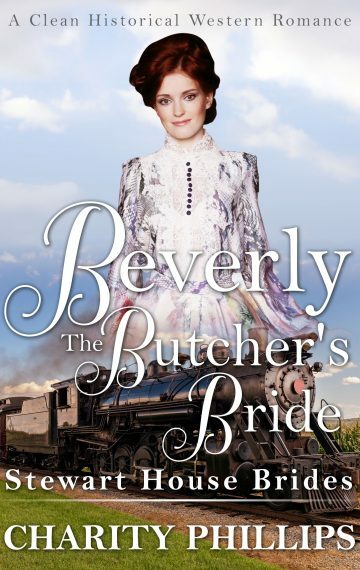 When she is told to stop meddling in the boss’ business, Beverly can’t help but spend time with the butcher next door. She has an idea for how things should run and lets the butcher, Mr. Wilfred Maddox, know what she’s thinking. Instead of being angry with her, he is captivated and thrilled by her ideas. Can Beverly successfully help change things for the better at Stewart House, or will she end up losing her job? All she knows is that a friend like Wilfred Maddox is a valuable thing for her to have… But perhaps Wilfred will see her as something more.